Imagine you’re enjoying an evening boat ride in a calm bay during your visit to Hawaii. All of a sudden, a pod of spinner dolphins swims nearby, and you have the opportunity to dive in and swim with them. What do you do? The short answer is: keep your distance. 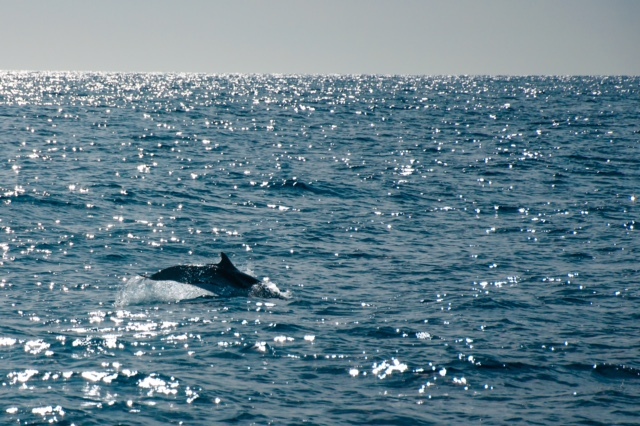 According to the National Oceanic and Atmospheric Association (NOAA), there are ample reasons why you should resist the temptation to swim or interact with wild dolphins, even if they approach your boat or come close while you’re in the water. Dolphins are often seen playing in Hawaii's ocean, but it's important to leave them alone. Swimmers and boats that come to visit wild spinner dolphins in sheltered bays and coastlines during the day could potentially be disturbing a critical period of spinner dolphin rest and potentially be harming the dolphins. Hawaiian spinner dolphins feed off-shore at night and return to sheltered bays and coastlines during the day to rest and tend to their young. When people swim with resting wild spinner dolphins, the dolphins may be drawn out of their resting state to investigate the swimmers. This may be a change in behavior which may constitute “harassment” under the Federal law that protects them and other marine mammals. Even when spinner dolphins are swimming, they actually may still be resting and sleeping. When dolphins sleep they must be partially awake to keep breathing, so they swim slowly, occasionally surfacing for air, allowing half their brain to sleep at a time. If spinner dolphins are disturbed while in their nearshore resting habitat, they may be forced to move to a location not as favorable, putting themselves at risk of predation by animals, like sharks. They may also be forced to use more energy to reach their feeding grounds, energy that would otherwise be used to breed, nurse, and rear their young. Hawaiian spinner dolphins choose certain sheltered, sandy bottom areas to rest because they are close to their feeding sites. The white sand background also makes it easier for them to see predators. Studies have shown that human interactions with wild dolphins may afect their behavior and populations. The natural curiosity of wild dolphins should never be misinterpreted as “friendly” behavior in which they are purposefully seeking out human attention. Wild dolphins have unpredictable, untrained behaviors. Dolphins seen at marine parks are not “friendly” wild dolphins. 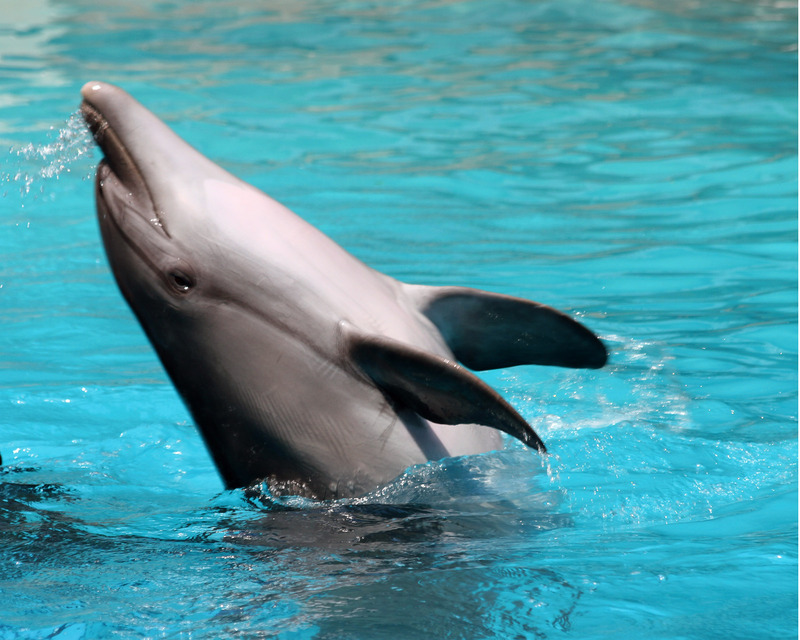 These animals are trained dolphins that were either born or raised in human care. Dolphins like this one are often on display at Parks, but they are not "wild." They are trained or born there. Wild dolphins in Hawaii are some of the most spectacular animals you may encounter while visiting the islands, but swimming or interacting with them can bring more harm than good to the animals and yourself. So, enjoy these amazing animals—but, only from a distance.